Only the greatest chefs are able to transcend nausea and understand what a true delicacy offal is. 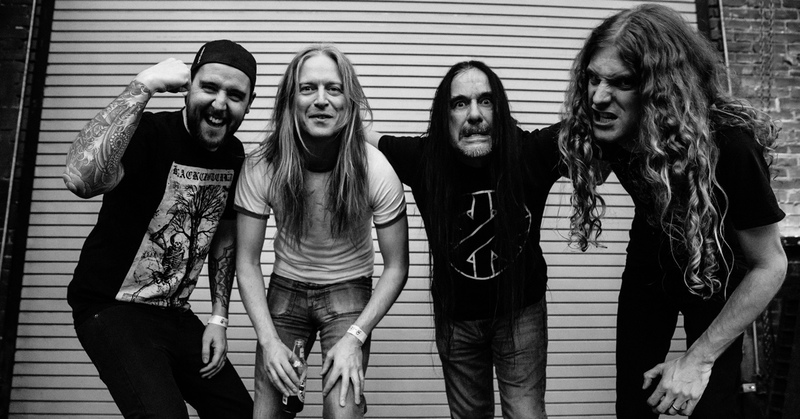 But for Carcass, this isn’t an acquired taste: they were born chewing on lo-fi entrails, and from there, graduated to the grindcore fry-up radiating from Reek of Putrefaction. By the time they recorded Heartwork, the Liverpool band had already refined their music producing a melodic metal that was perfectly seasoned. And just over a decade ago, after a break, Bill Steer and Jeff Walker decided to open the kitchen again, maybe spurred on by the number of imitators that were trying to copy their recipe. Because, if what you want is a noise soup with no frills, there is no better place to go than Chez Carcass. It is true that their album covers are not illustrated with pictures of cadavers anymore, but every live performance produces more and more victims.